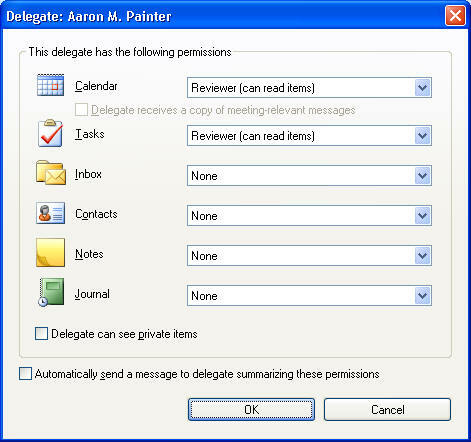 Delegates can be managed exactly as known from Outlook. Modifying delegates will change Exchange settings, Outlook folder rights and (if right privileges are assigned) in ActiveDirectory. Delegate and mailbox owner can get notification about the modification.